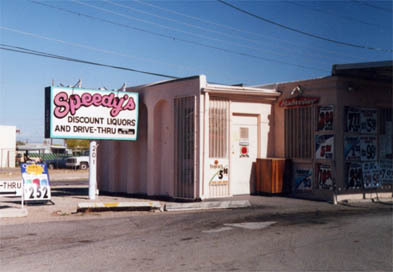 Although the height of "car culture" was during the earlier half of this century, vestiges of it still linger. 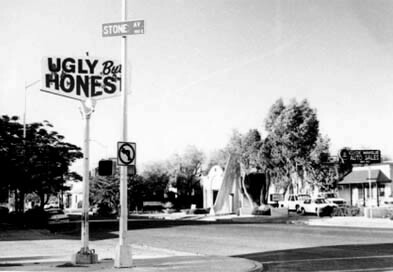 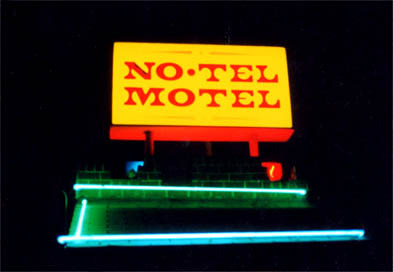 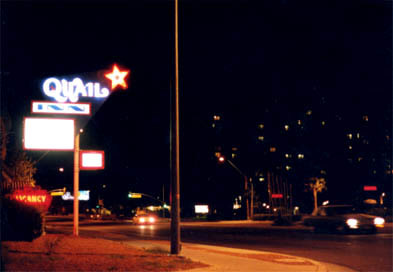 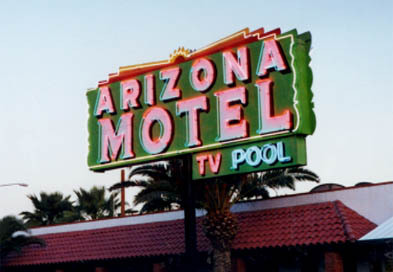 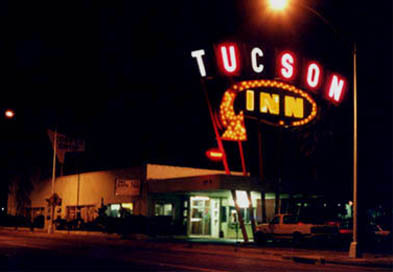 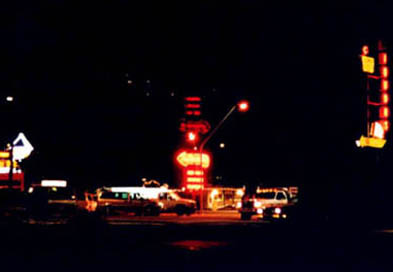 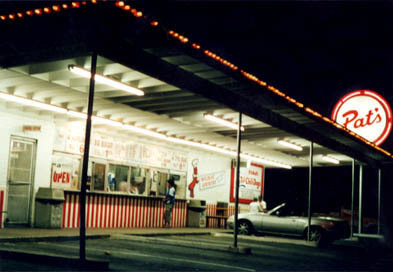 To attract potential customers traveling past at high speeds, hotels often used compelling neon signs. 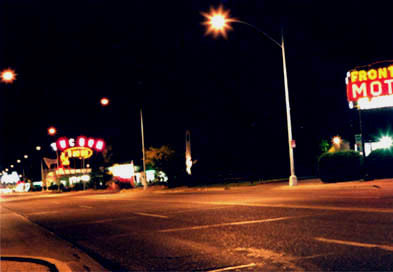 Though teenage "cruising" still occurs on certain streets in the city, no longer do long-distance vacationers travel so much by car. 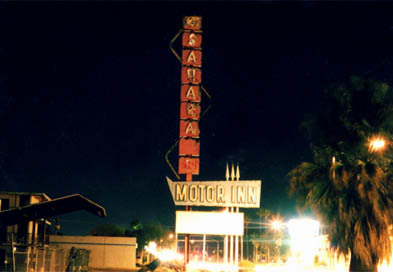 Nevertheless, neon signs still shine into the darkness--attracting local customers and preserving the heritage of "car culture." 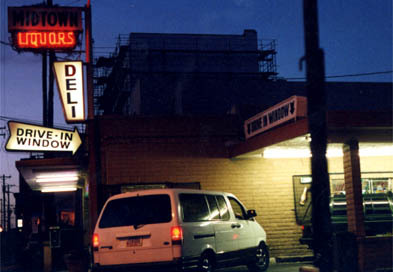 Note: To elaborate upon the theme of "car culture," about half of these photographs were taken from the car.